Welcome to a Friday Fashion episode. Do you always wear the right colors for your complexion? If yes, you are an expert and don’t need to hear anything else. Knowing the right color for your face is half of the battle with any successful outfit. This week I wore this outfit to conduct my TV show with a fashion designer from Belgium as my guest. The title of the show is: “Stylish Pile”. 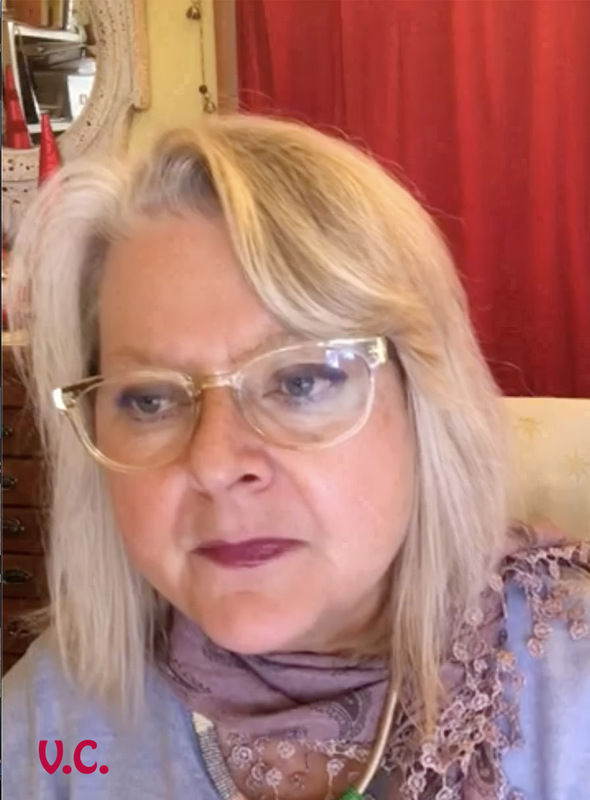 My guest will explain how to rescue fabrics from worn clothes and make them into a new garment. However interesting this subject was, it is not the subject of today. The reason I chose grey and mustard with a touch of black as the focus of today’s topic is only to talk about the suitable colors around the face. My face doesn’t look good framed with a black color and even if the black is on my torso, still doesn’t look good. 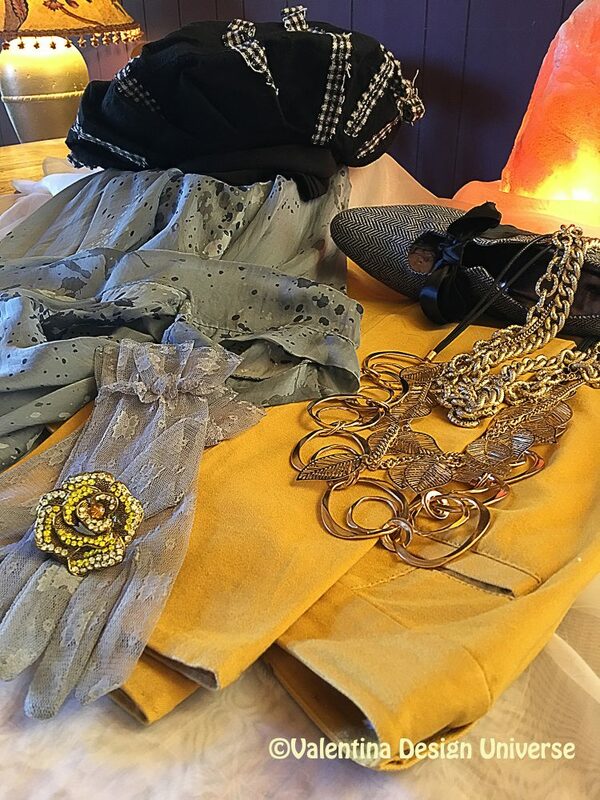 For my TV show, I have chosen to wear grey and mustard with a touch of black because we are in the winter, I wanted the colors to go with the dull nature of January but I didn’t want a sunless outfit. Grey doesn’t seem so dull next to a mustard color and a pile of gold. Most women would wear silver on a grey top. The moon is considered female energy, wearing silver on silver is about calling for that moon, gentile, female energy. The sun is considered a male planet, the golden colors which emanate from it, is hot and powerful. I have a strong character, and always felt attracted by solar planet energy, thus wearing gold for me means being supported by a strong entity which energizing me constantly and gives me the light I need to look alive and prompt for any situation. This is one of the principals for a successful outfit. One might like a certain color but if it is not suitable to the face, it is the wrong color, simple as that. As I said, black around my face turns off the light of my hair and my eyes, black makes my complexion washed out or sad, as I often say. Black might be an elegant color, it might be a protective color, it might be slimming and all that jazz, but black receives no energy, nor light and gives out no energy and no light either, that’s another reason I choose a cascade of gold necklaces. They will give light to my face and I can wear a black hat without feeling “turned off”. 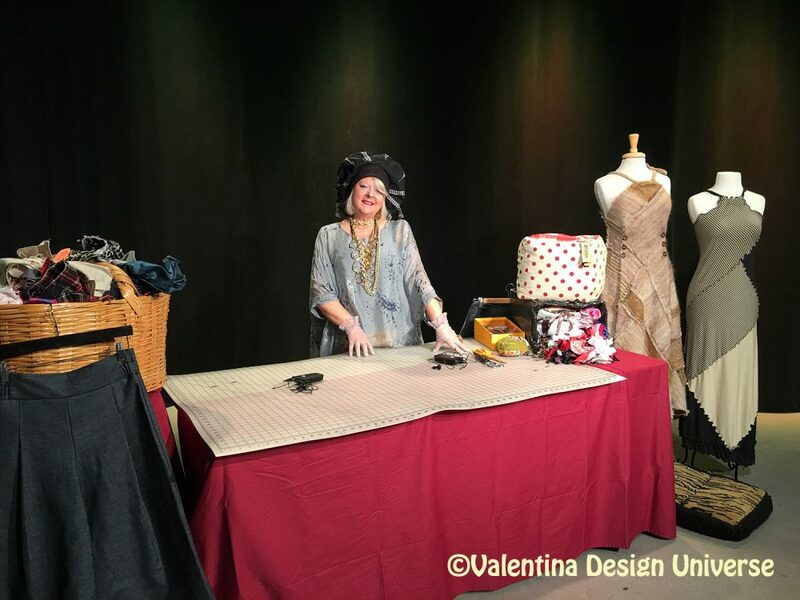 Jill Pillot, my TV guest in this show, created the hat I am wearing, French Tweed is the fabric of my shoes, the shirt is hand-painted Italian silk, and the grey gloves are voiles. Valentina Cirasola is a trained Fashion-Interior Designer and author, born in Italy in a family of artists. Style surrounded her since the beginning of her life. Her many years of experience led her to offer consultations in both specializations and now she can remodel homes as well as personal images. She is passionate about colors and encourages her clients to express their personal style in their homes and with the clothes they wear.